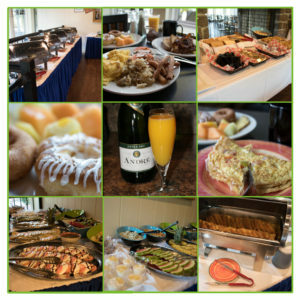 Boulder View Tavern hosts a Champagne Brunch Sundays from 9 am to 12 pm. assorted salads, assorted danishes, donuts, and cakes. Boulder View Tavern also has an omelet station where you may select ingredients for your custom-made omelet. Price includes complimentary Mimosa or glass of Champagne.